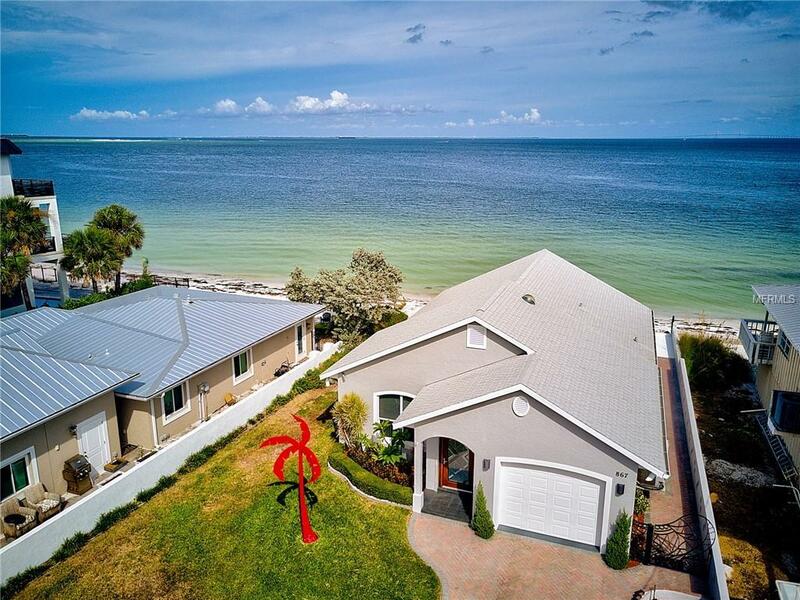 Spectacular water views embrace you when you enter this Gulf to Bay 2 bedroom/2 bath ground level home on the north point of Anna Maria Island. This location features all the best that Anna Maria Island is known for- low rise and low key island time on the water. Dolphin, Manatee, and Pelicans are your neighbors. Relax in your Cathedral ceiling Great Room which features wall to wall windows overlooking where the Gulf of Mexico meets the Egmont Key Lighthouse, Tampa Bay, St. Petersburg, and the Sunshine Skyway Bridge. And close by is the historic Rod and Reel Pier which offers you breakfast, lunch, and dinner plus great fishing too. Pine Avenue with its restaurants and boutiques is a short bike ride along the bay and Anna Marias North Point Gulf beaches are just around the corner from your own bayfront private beach. From your bayfront patio and beach youll see inspiring Gulf sunsets as the crimson afterglow over the bay transitions to lights twinkling in the distance. The open kitchen design shares the water views with the breakfast bar and adjoining the Great room. The kitchen features a Bosch dishwasher, JennAir range, and wine cooler. A separate pantry and laundry room adjoin the kitchen and theres plenty of storage for your water toys and a golf cart in the one car garage and attic. Schedule your private showing today. Pet Restrictions See The City Of Anna Maria Pet Ordinance And Leash Law.